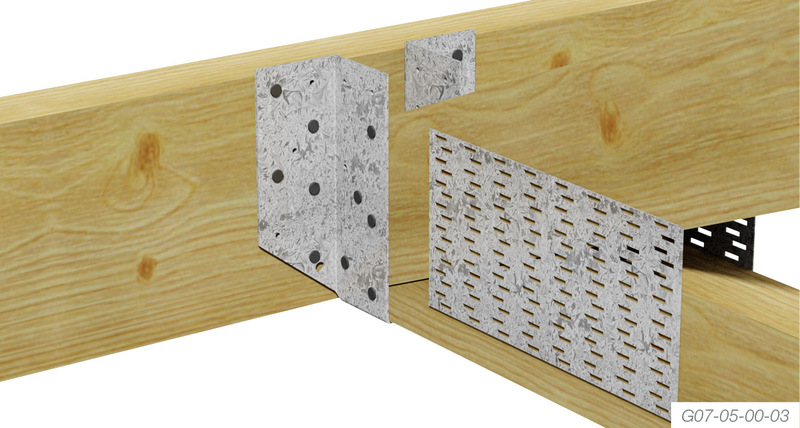 Pre-punched, formed galvanised steel connector - very easy to install! Fastening Joists to the face of Beams. Fastening standard Trusses to Girder Trusses. 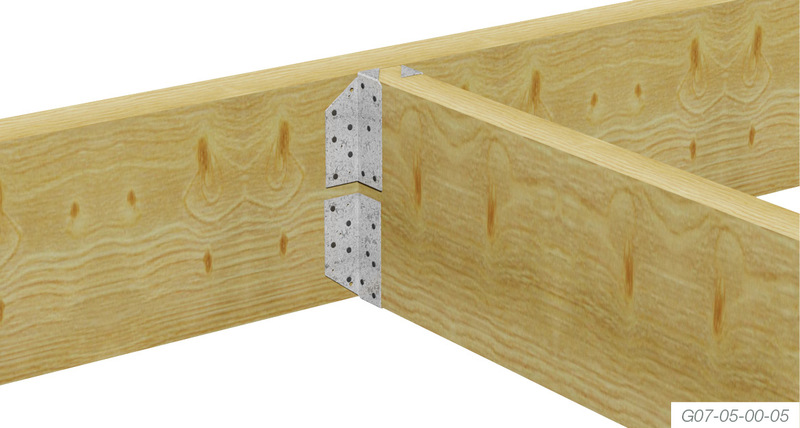 Securing Beam to Beam and Joints, Joists to Joists and Jacks to TG Trusses. 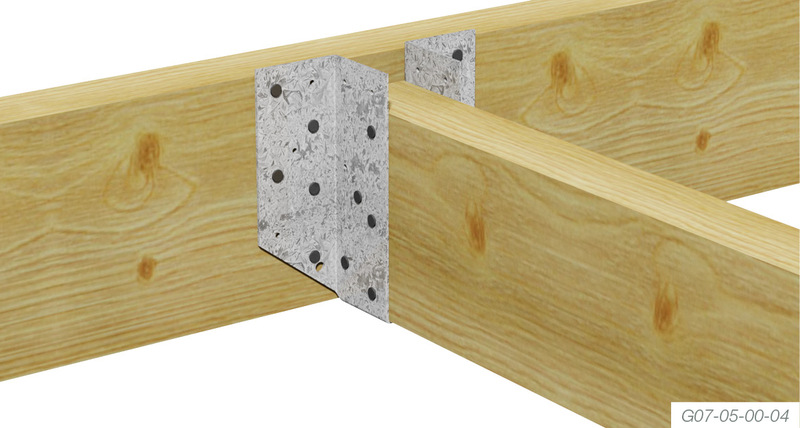 The Multinail Split Hanger allows you flexibility in fastening the Truss or Beam using nails. Split Hangers are easy to install. 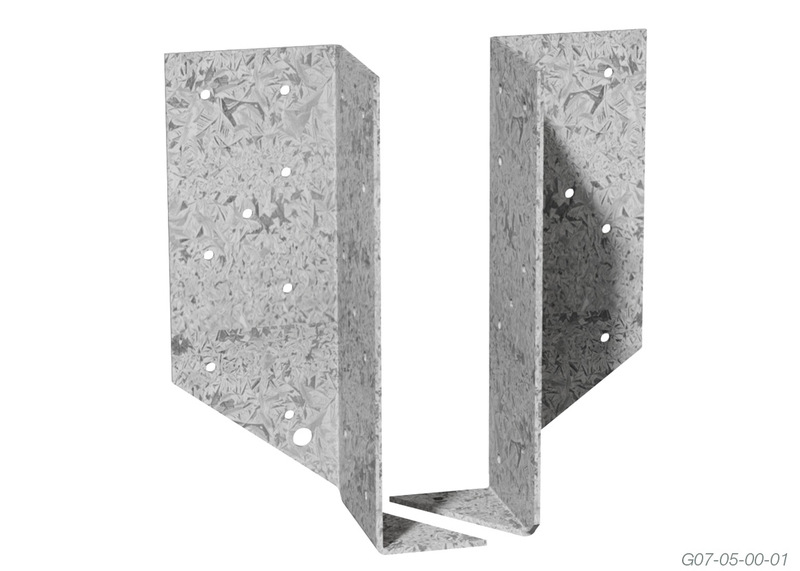 Simply use 30mm x 2.8Ø Multinail galvanised nails, through each wing to secure the Split Hanger to the supporting member. NOTE: 2 Split hangers to be used always in pairs. Minimum 1 each side of supported member. The following table gives the recommended Limit State Design capacities for Multinail Split Hangers. Design capacities are for use in limited State design procedures to AS1720.1-2010 The capacity of Dead Load, Dead Load Floor Live Load and Dead Load Roof Live Load are referring to nail quantities to a Girder/Beam The capacity of Dead Load + Wind Load are referring to nail quantities to a supported members. NOTE: The capacities are derived from AS1720-2010 and are for uplift in houses where failure is unlikely to affect an area greater than 25m2. For primary elements in structures other than houses or elements in a house for which failure would be greater than 25m2 these capacities must be multiplied by 0.94. 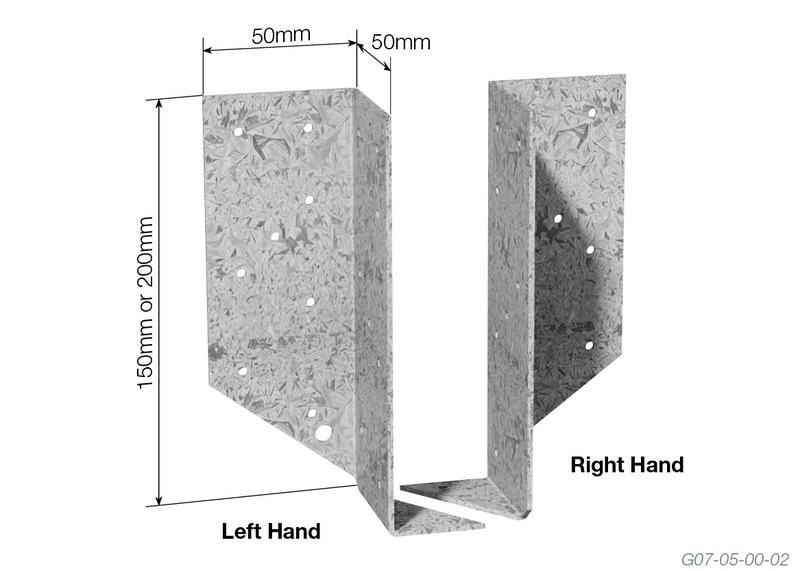 For primary joints in essential services or post disaster buildings multiply by 0.88..